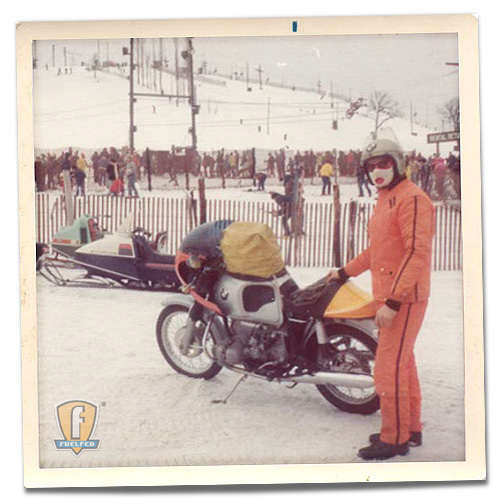 Our good friend and Fuelfed mentor, the legendary Ted Strobl was never one to let weather impact his Sunday riding. From the 1950’s through the 1970’s Ted loved skiing at Wilmot Mountain with his family. His wife Lanie would bring the kids in the VW Beetle with the skis on the roof and Ted would ride his R75/5. Ted found great pleasure in testing his riding chops and promoting the sport of motorcycling. Ted always set the benchmark in BMW motorcycling bravado. 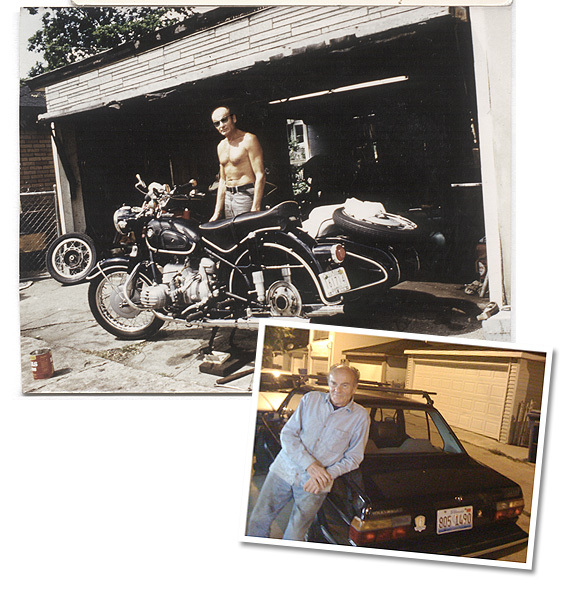 My good friend Ted Strobl in 1968 and 2008. The man that started my obsession for absolute tuning perfection. This is the man, that in 1992, ignited what was to become Fuelfed. Get use to this face, as you will be seeing a well-deserved feature series on this legendary BMW master.